Links in this post are affiliate links. Thanks for supporting my blog! 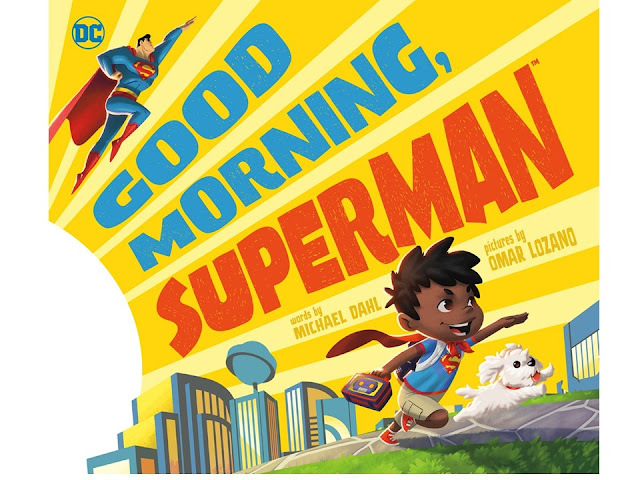 From the author of Bedtime for Batman comes an adorable book about the morning check list. Our tiny Super Hero and his grown up counterpart get up, go potty, eat breakfast, brush teeth, pack a bag and head out for the day. And that is it. The language is super simple. Not simple enough that my early reader could read this to himself but not complex enough that I would want to read it over and over to my little super-hero loving guy. What this book has going for it is some super-adorable pictures that my 5 year old said he enjoyed. If you have a kiddo in that stage where they need only a few words on each page - this is a good book that will captivate your child's attention. Even if it's just for five minutes! You can pre-order a copy here. It releases on March 1. Amazon links are affiliate links. Thank you for supporting my blog! If you want to know what I'm currently reading with my kids be sure to follow me on Instagram!